How to Master Your Own Wellbeing. An accessible and practical guide, which provides 3 keys to help you to master your health and happiness so that you fall in love with your life. Our fundamental relationship is the one that we have with ourselves, master this and we master all else. Yet we live in a world where stress and chronic disease are spiralling out of control. What we need is to learn how to relax and this begins with the mind. The book provides three keys to help you master your own wellbeing. Divided into 3 parts, each part covers one of the keys and provides a specific tool to master each key: Key 1 – Learn to Calm Your Mind Relax: Wake Up and SOAR tool Key 2 – Take Charge of Your Wellbeing Nurture: Your Personal Support System tool Key 3 – Pursue Your Dreams Fly: The Law of Magic tool Wake Up and SOAR presents a clear and simple road map, which empowers you to create a relaxed supportive lifestyle providing a stable base from which to pursue your heartfelt desires. 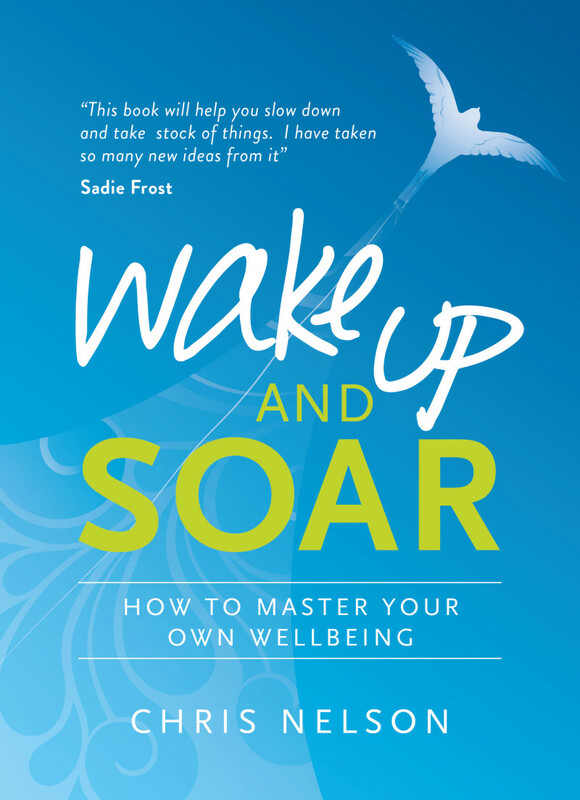 The core tool SOAR has its roots in ancient wisdom and is expressed as a modern-day ‘practice’ to help us move from our ‘normal’ fear-based state of mind to our ‘natural’ calm quality of mind, where we accept life as it is and therefore flow with her, rather than against her. S – Slow down O – Observe inwardly and connect with your breath A – Accept all that is arising without judgement R – Relax deeply and sense your inner peace of being.